Filipino food is evolving and is moving in new direction while still trying to hold on to its traditional roots. I believe this is where Plaza Rizal fits right in. Plaza Rizal is a new restaurant in Daly City, California that is serving up innovative Filipino dishes. While you can get your daily staple of silogs*, pancit, and lumpia, Plaza Rizal offers other dishes outside the box of typical Filipino restaurants. I had the opportunity to taste a couple of these innovative dishes and one of my all-time favorite Filipino dishes is Crispy Pata. However, Plaza Rizal takes Crispy Pata to another level. 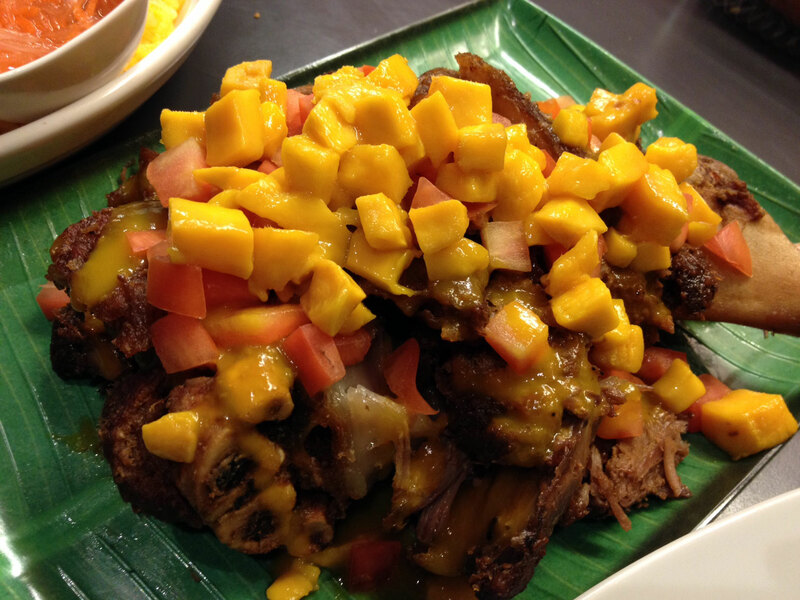 Instead of serving Crispy Pata on a plate, they take the meat off the bone for you (added bonus) and then coat it in a creamy bagoong** sauce and then top it off with some mango, onions, and tomatoes. And Binagoongan Crispy Pata is now created. This is my new favorite. So what’s so special and innovative about it? The first thing is that Crispy Pata is great by itself. Then, what most other restaurants will do is give you a “Garlic” Crispy Pata which is Crispy Pata covered in fried garlic. Now Plaza Rizal takes it to a whole new level by covering it with some of the foundations of Filipino cooking. 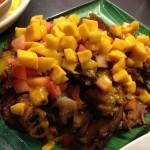 New to Filipino food? Don’t worry. I have a couple of friends who are in the same boat who want to try it out but aren’t sure of what to get. Like in all other cuisines, it really depends on your palate. To play on the safe side, I would start off with pancit, grilled items, and lumpia and then gradually move on to other things like menudo and adobo. Here’s the recipe from a Canadian friend of mine. Stir until salt to dissolve the salt. *Silogs are dishes served with meat, fried eggs, and garlic rice. **Bagoong is a sauce made from fermented fish and/or shrimp.